Whether you wish for your interior design to be minimal or glamorous, a minimalistic rug is the key piece in achieving the look. 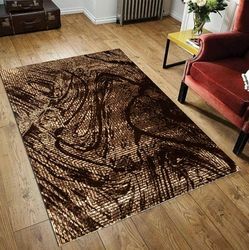 Introduce contemporary look at your home with trendy designs and patterns of carpets. The pattern on the rug adds a stylish look to it. Complement this rug with a stylish coffee table and always get an eye catching result.